professional sense to fulfill the Oriental style. several different materials mix for one product,so please feel free to contact us. 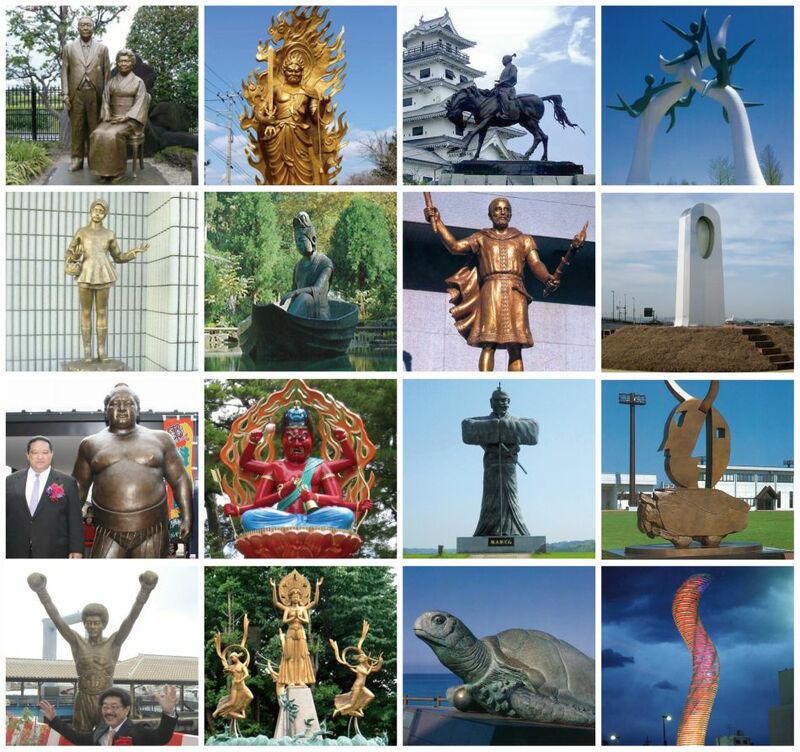 Bronze tool casting was brought to Japan from the Korean peninsula around the second century BC (the Japanese Yayoi era). Bronze was mainly used in rituals, such as for swords, bells, and mirrors. 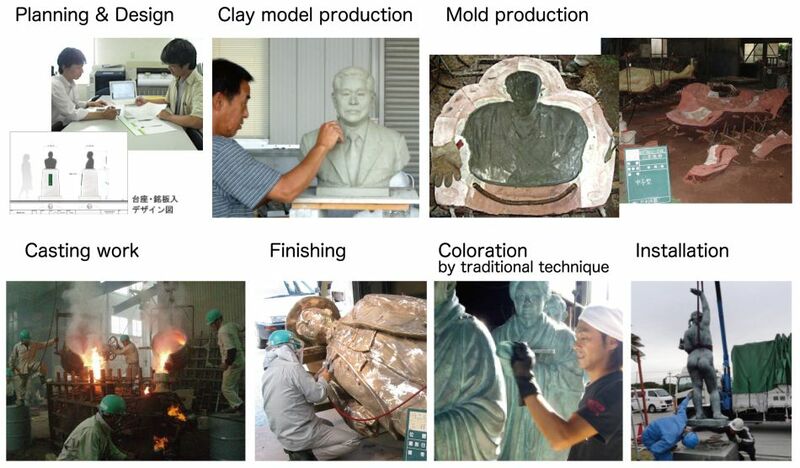 Thereafter, copper coins and Buddha statues started being made, and accompanying this, there was significant progress in copper refining and casting processing techniques. The origin of Takaoka copperware was in 1611 (Year 16 of the Japanese Keicho era), when Toshinaga Maeda, the lord of the Kaga clan, came to Takaoka Castle and founded Takaoka town. At that time, as part of an industrial policy aiming to develop the area around the castle, he invited seven foundry specialists and opened a foundry. At the time it opened, they were producing ironware such as pots and cauldrons, and thereafter, they started producing of various types of metalwork such as bronze and brass products. From the late 1800s (the beginning of the Japanese Meiji era), sword artisans who lost their jobs due to the enforcement of disarmament entered the copperware industry. From then, the focus shifted from everyday items to artwork. Since Takaoka copperware has colorful and precise finishing, its works were displayed in exhibitions at various countries at that time, and they were awarded many prizes for their quality. In this way, Takaoka copperware has built a reputation for artwork. With its traditional techniques and artisan sprit handed down over many generations, and was given an initial designation in 1975 as a nationally recognized traditional artwork product, and 1979, Takaoka was designated as a specific industry product location. At present, Takaoka copperware has grown to have a 90% share of the Japanese copper alloy cast product market. It has a wide product range, including items used in tea ceremonies, flower vases, ornaments, bronze statues, monuments, and Buddhist ornaments and bells. Takenaka Bronze Works was established in 1927 by Masaharu Takenaka as a processing shop for Takaoka copperware. Since its establishment, Takanaka Copperware has been creating its products for over 80 years, always respecting the traditions of Takaoka Copperware. Our strength is that we can coordinate production teams in line with customer needs, based on broad connections with artisans and technicians who have a perfect combination of traditional techniques and highly developed processing skills. Different materials, production methods and ornament methods need to be employed in order to complete items used in tea ceremonies, flower vases, incense burners, ornaments, statues, and Buddhist ornaments in a beautiful way, and every artist has a different style of shaping and expression. Looking into these factors in more detail and building the optimal production teams allows us to continue to provide high-quality products which delight our customers. We also have been working on collaborative development together with leading designers, architects and artists, not only within Japan but also throughout the world, and will continue to broaden the possibilities of Takaoka copperware by fusing creators’ sophisticated sense of aesthetics with highly-skilled techniques of traditional art works. Copyright (c) Takenaka Bronze Works Co., Ltd. All Rights Reserved.